In Distant Mandate, Ange Mlinko moves between the tormented southern landscape, with its alternately arid and flooded scrublands, and the imaginative landscapes of Western art. Guided by her spiritual forbears—Orpheus, Mallarmé, Pound, Yeats, and others—Mlinko deftly places herself within the tradition of the poet in protest against the obduracy of the real. Mlinko takes the title from a piece by Laszló Krasznahorkai on the unknowable origins of the Alhambra, the monument “for the sight of which there is only a distant mandate . . . [one] can see, in any event, the moment of creation of the world, of course all the while understanding nothing of it.” This distant mandate, also the “bitter ideal” of Mallarmé, is the foundation upon which all works of art are composed—the torment of eros and the intimation of war. Myth is central to these poems; some are based on the story Cupid and Psyche, others serve as odes to Aphrodite or as explorations of the myth of Orpheus and Eurydice. 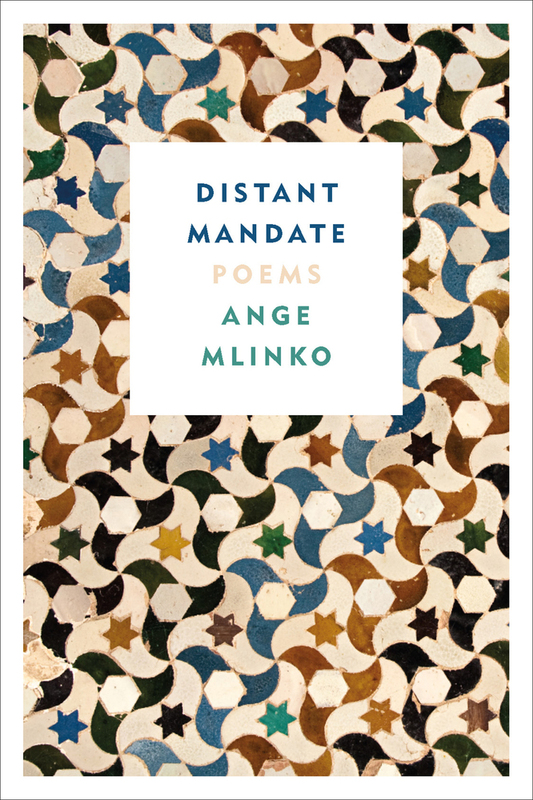 In Distant Mandate, Mlinko has given us a shimmering and vibrant collection, one that shows us not only how literature imagines itself through life but also how life reimagines itself through literature. Ange Mlinko is the author of several critically-acclaimed books of poetry, including Shoulder Season, which was a finalist for the William Carlos Williams Award, and Starred Wire, a National Poetry Series pick and finalist for the James Laughlin Award. She has been the recipient of a Guggenheim Fellowship and the Randall Jarrell Award for Criticism, and served as Poetry Editor for The Nation. Her essays and reviews have been published in The Nation, The London Review of Books, Poetry, and Parnassus. Educated at St. John’s College and Brown University, she has lived abroad in Morocco and Lebanon, and is currently Associate Professor of English at the University of Florida. She lives in Gainesville.